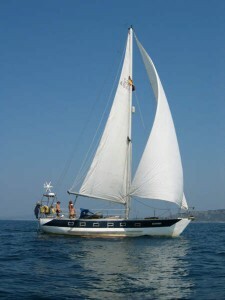 On our way to Islas Cies we had a mild breeze, so we launched myself in the dinghy and sailed Ramprasad past me a number of times for me to take some photos of this fine vessel with its sails up. I took 150 pictures in all, including some video footage as well. Ramprasad really does look fine when the sails are fully inflated and it swans across the water. 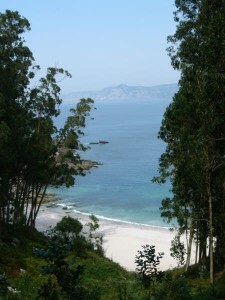 As you should be able to see from the photos Islas Cies is idyllic. Despite the fact that ferry services cart many hundreds of Spanish every day to and from the mainland, it still retains its desert island feel. 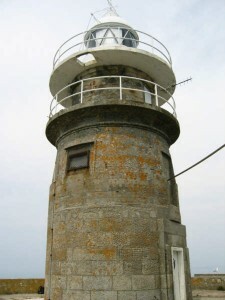 There are very few buildings on the island save a tourist centre, a restaurant, a shop and a lighthouse. The restaurant is part of the fairly large campsite, which is the only way to stay on the island unless you own a yacht. 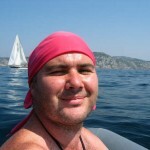 As soon as we anchored up Lorraine and I dived off the bow and swam ashore! With a golden beach and crystal clear waters I think we’ve found our own paradise! And it’s in Spain! 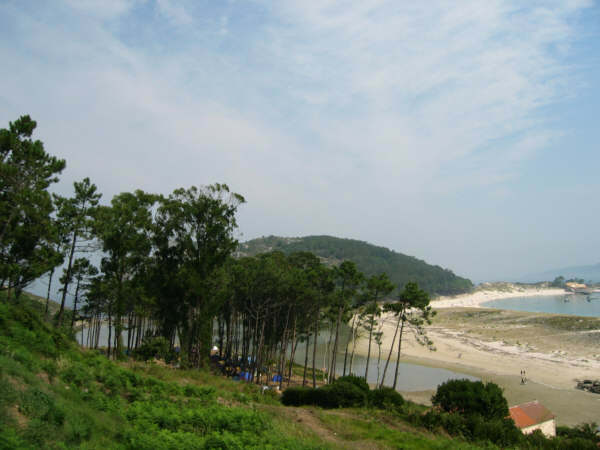 That’s the amazing thing about Islas Cies: a look at the photos and you’d be forgiven for thinking that it sits somewhere in the Caribbean, which is perhaps why the Spanish keep little havens like this to themselves. 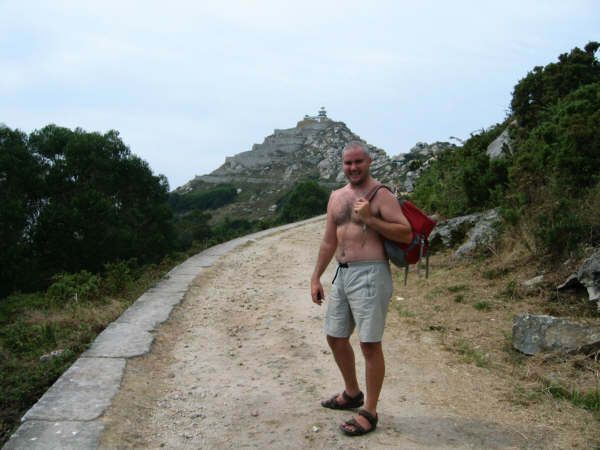 The island next to Islas Cies doesn’t even have a ferry service. Friday was spent exercising the old legs by covering most of the island in a long walk from one end of the island to the other, which can be done easily in a day. This would make perfect mountain biking terrain but since the island is a protected wildlife sanctuary I doubt this is allowed. 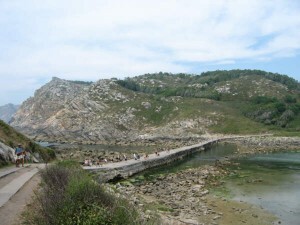 This is a shame as I propose a biking holiday sometime next year in Galicia – as I write this I’m now in Portugal and already I’m missing Spain! With all this spare time I’m working my way through the small library Sam has on board. I’ve just completed “Longitude”, by Dava Sobel, the true story of a clockmaker who solved the longitude problem that dogged sailors throughout the eighteenth century (longitude are the timelines that run up and down the globe, through the north and south poles). Now I’m treating myself to “Relativity For The Layman”, of which I know nothing about. Am determined to stick to the non-fiction but all this learning and information is hurting my brain so I may take a break and read a bit of fiction next.